Are there any other new features planned? Yes, we are constantly working on Food Safe System to ensure it meets your requirements now and in the future. We are also working on a few other concepts aimed at making chefs’ lives easier, we will let you know when they are available. Are the sensors and probes certified? Yes, the sensors and probes are CE marked and approved. Do I always need to be connected to the internet for it to work? No, as a native App, Food Safe System can be used offline, it will however need to go online occasionally to update the admin panel. 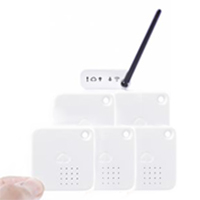 An always on and available internet connection is required for the wireless sensors as data from the sensors is sent to the backend first then to the app. Some areas of the App such as the Cleaning Schedules, Supplier lists, Cooling Units are completely customisable to your business, but the main forms themselves are not. We have aimed to make each form as comprehensive as possible to cover the majority of places, and each form is based on approved government standards. We are open to designing bespoke packages for companies, contact neil@foodsafesystem.com to discuss. We have no limit on the number of users for each account. Individual staff members can download Food Safe System to their phone or iPad and have full access. No, You can still use the app and complete all of your required checks and records manually. Using the Food Safe System App allows you to easily complete, manage and access your records at any time, eliminating the need for paper based forms. Food Safe System is £35 per month, less than a cup of coffee a day, for any outlet with up to 5 fridges to be monitored. 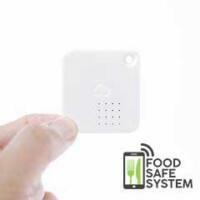 Is there an Android version of the Food Safe System app coming? 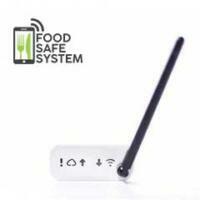 Food Safe System currently works on any iPhone or iPad running version 10.0 or above. The Bluetooth Probes will only work with iPhone 5 or above or an iPad 4 or above. How do I know if my Local Authority is using the Hygiene Rating Scheme? Local Authorities can choose to use The Food Hygiene Rating Scheme if they wish or they can adopt a more local system that they manage themselves. The Food Hygiene Rating Scheme is recognised as ‘National Scheme’ run in England, Wales and Northern Ireland. Scotland run a similar scheme. You can find out which authorities are using their own local schemes by clicking on the link below. Can a business operate legally without a food safety system? No, it is illegal to not have a food safety system. 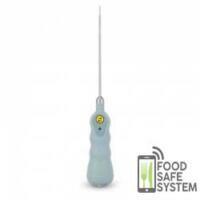 Since 2006 it has been a requirement of UK and EU law that every food business has a pre-determined food safety system based on the principles of HACCP. If you do not have a food safety system you may be prosecuted, served an improvement order, fined and even shut down.